Synopsis: She's read all the books. Bookmarked all the blogs. She should totally have this parenting thing down. So why has she locked herself in her bathroom, the sounds of Dora The Explorer muffled only by her tears? 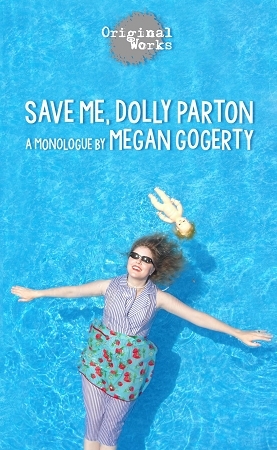 In the follow-up to her smash hit HILLARY CLINTON GOT ME PREGNANT (Named in "Top Ten Plays of 2009" by Atlanta Journal-Constitution), SAVE ME, DOLLY PARTON features Gogerty’s quick wit and sharp-eyed takes on politics, pop culture, and parenting. Along the way, chickens are beheaded, people take pies to the face, and various public humiliations are endured. Whether you're a parent or not, a feminist or not, a Dolly Parton fan or not (who's not? ), Gogerty will leave you laughing in this comic, freewheeling memoir.